Baby Apparel shoppping is such an interesting activity all parents do. 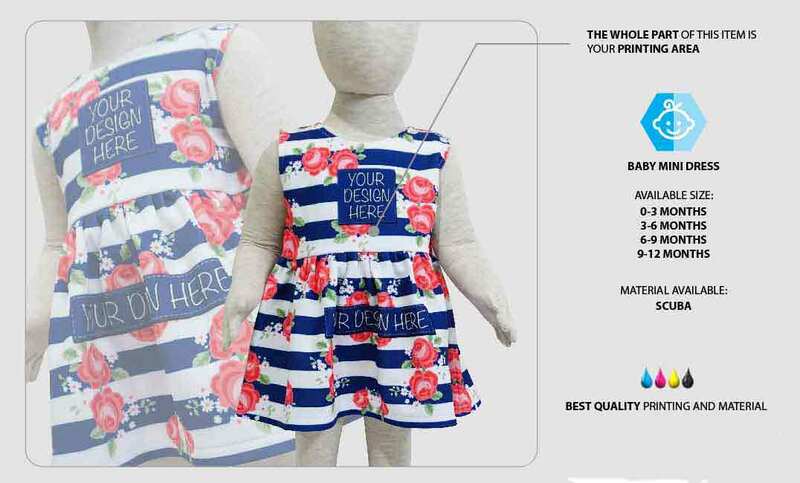 Not only the functionality of the item that is a must to have, the stylish look also becomes one critical thing for them to choose one among the others. 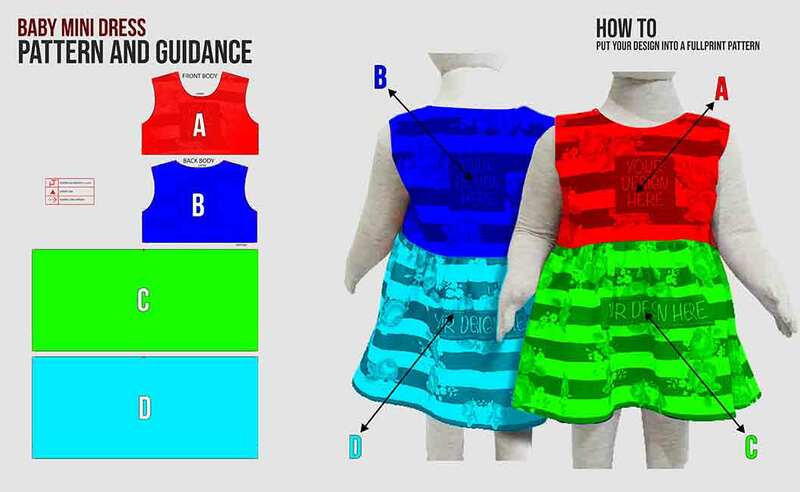 Baby Mini Dress needs to be written on the parents' baby shopping list. The well cutting, practical use, and pretty look it has cannot be denied by moms and dads. 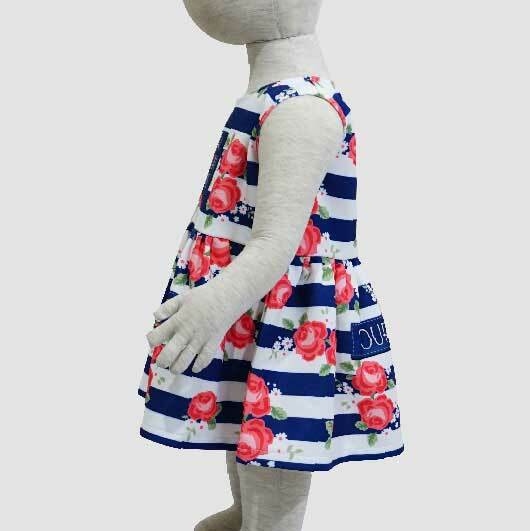 All baby girls wear it for their play time. 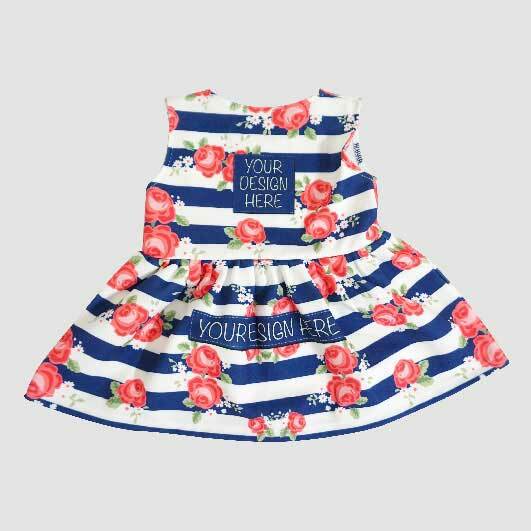 Here in Custom.co.id we provide a fully customizable baby mini dress. 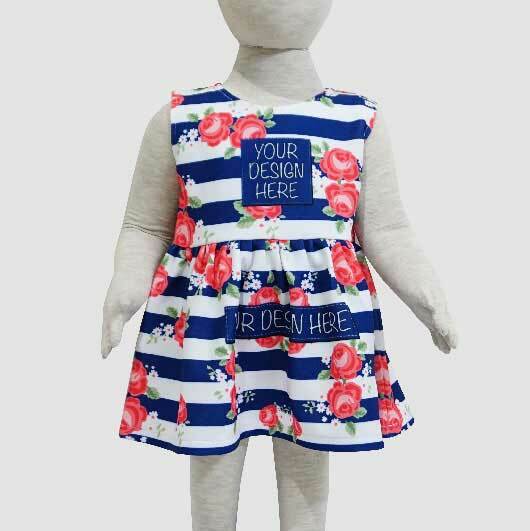 Creative parents like you are allowed to print any favourite design on the whole part of this item. 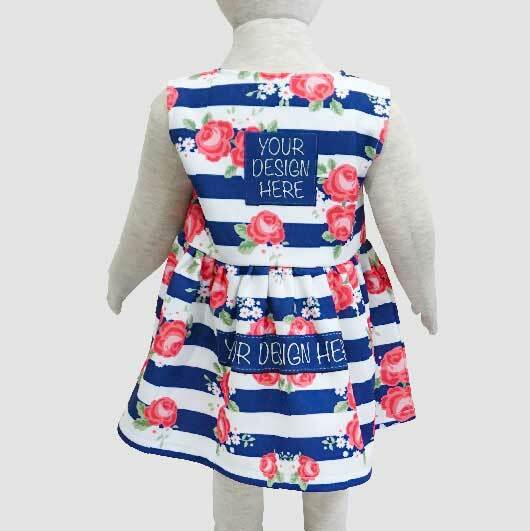 Designs like characters, beautiful patterns, colour blocks, and texts are suitable to be printed. You can personalize it as what you want. 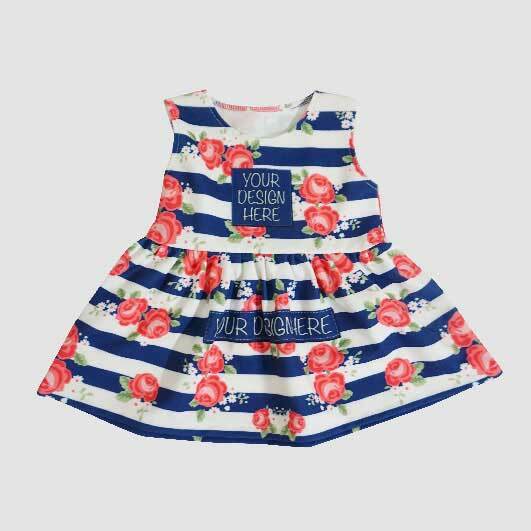 No one will ever have the same beautiful mini dress as your baby has. 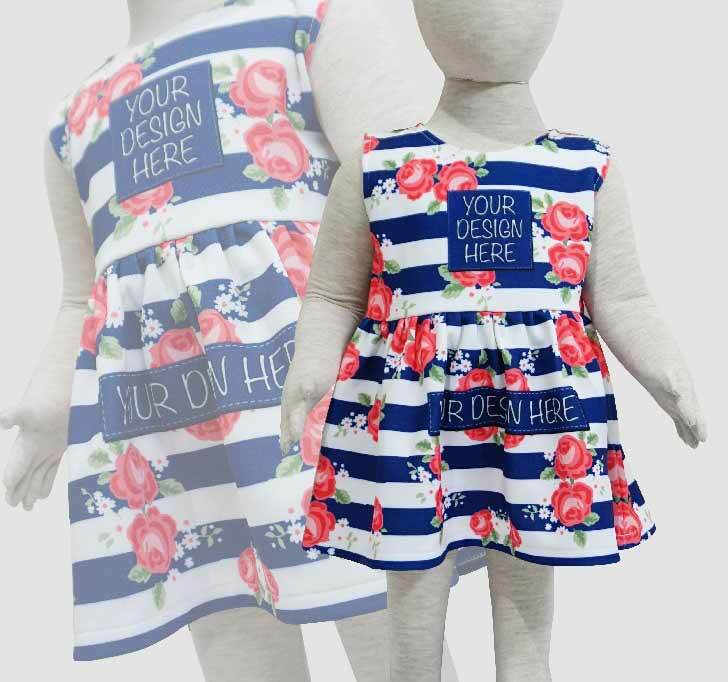 Simply upload your design and we will produce it for you. 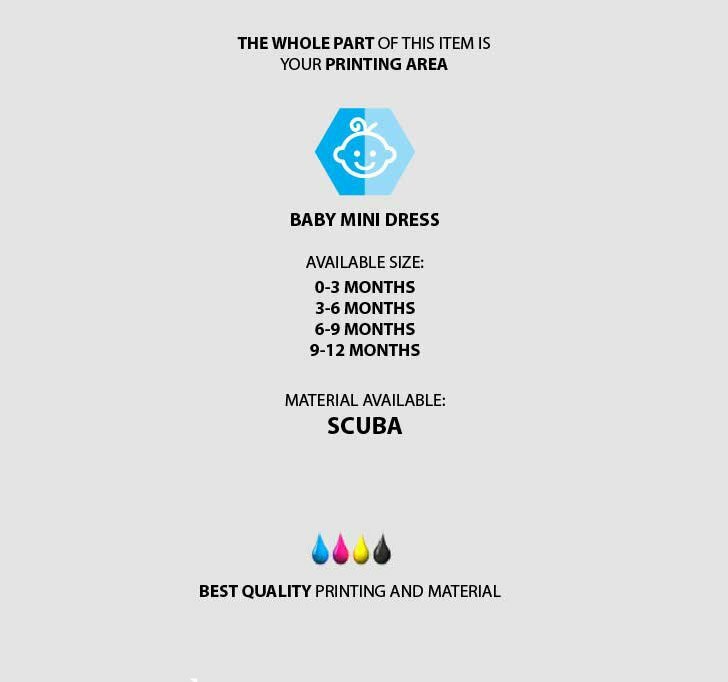 We work fast as we are supported by the advanced printing technology. 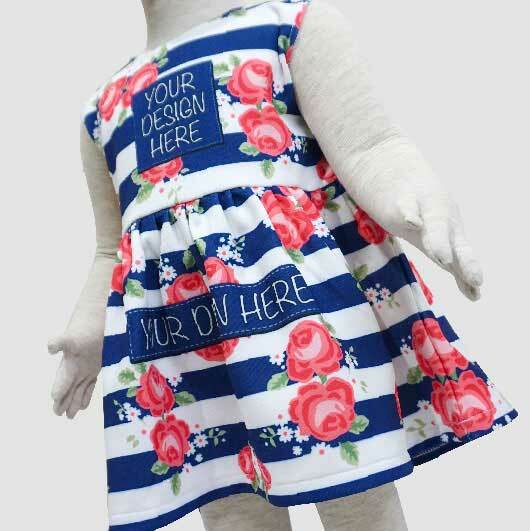 Order your own design baby mini dress today!